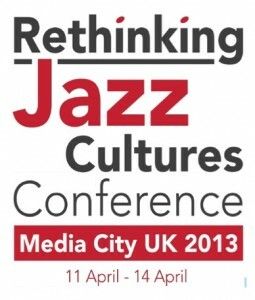 The study of jazz in academic institutions may be a relatively modern trend, but the presence of over a hundred academics from South Africa to Russia and from America to Portugal at the Rhythm Changes: Rethinking Jazz Cultures conference, at Media City UK, Salford, underlined that it’s an undeniably global phenomenon. It’s also a sign of the continuing evolution and maturation of historical, socio-political, anthropological and musicological perspectives on music that is more than a century long in the tooth. There may be some who feel that jazz and academia make for odd companions, mutually exclusive fields, but if academic scrutiny is good enough for poetry, literature, graphic art, cinema, theater and other forms of music, then why not jazz? Quite. Why not. Knowledge exchange, in process. 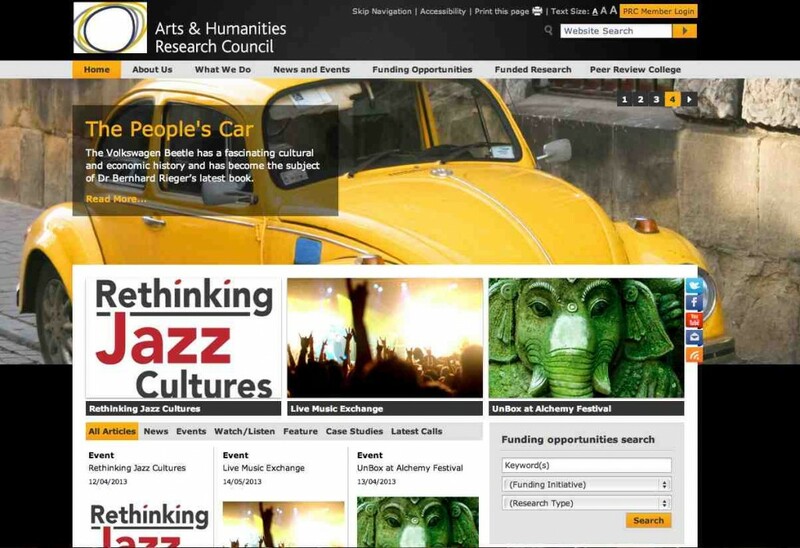 This entry was posted in Academic, Jazz, Media and tagged academic research, All About Jazz, conference, HERA, Ian Patterson, jazz, MediaCityUK, popular music studies, University of Salford on April 30, 2013 by George. 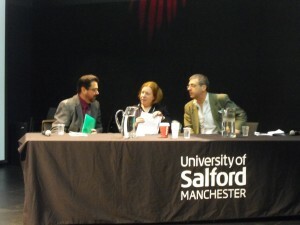 Rhythm Changes has drawn on the expertise of 13 researchers who work across 7 institutions in 5 European countries, but the growing network of partners, musicians and scholars—including those participating in the 2011 ‘Jazz and National Identities Conference’ in Amsterdam and ‘Rethinking Jazz Cultures’ in Salford—means that the scope and impact of Rhythm Changes is ever widening. Our packed conference programme offers stimulating keynote presentations and panels, plenary sessions, papers, performances, poster presentations and exhibitions, all of which should [will!] generate high quality debate and discussion. Rhythm Changes has sought to encourage people to rethink the way jazz has been articulated, represented and understood, and this conference will be a powerful reflection of this core aim. This entry was posted in Academic, Jazz and tagged academic research, conference, cultural studies, HERA, jazz, live music, media studies, MediaCityUK, photography, popular music studies, rhythm changes, tony whyton, University of Amsterdam, University of Salford on April 4, 2013 by George.